In his critically acclaimed international bestseller Sapiens, Yuval Noah Harari explained how humankind came to rule the planet. In Homo Deus, he examines humanity's future, offering a vision of tomorrow that at first seems incomprehensible but soon looks undeniable: humanity will lose not only its dominance, but its very meaning. Over the past century, humankind has managed to do the impossible: turn the uncontrollable forces of nature--namely, famine, plague, and war--into manageable challenges. Today more people die from eating too much than from eating too little; more people die from old age than from infectious diseases; and more people commit suicide than are killed by soldiers, terrorists, and criminals combined. We are the only species in earth's long history that has single-handedly changed the entire planet, and we no longer expect any higher being to mold our destinies for us. 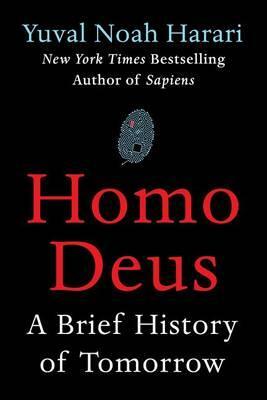 PROF. YUVAL NOAH HARARI is the author of "Sapiens: A Brief History of Humankind," which was an international bestseller published in more than 35 countries. He has a PhD in History from the University of Oxford and now lectures at the Hebrew University of Jerusalem, specializing in world history. His research focuses on broad questions, such as: What is the relation between history and biology? Is there justice in history? Did people become happier as history unfolded? In 2012 Harari was awarded the annual Polonsky Prize for Creativity and Originality in the Humanistic Disciplines. The author lives in Jerusalem."